Acting as a toner and deep cleaning astringent. claiming that it fights acne and drying up the blemish as well as preventing new ones from emerging. well, i have been keen to try it because of the ingredient of cucumber inside it LOL haha it sounds pure and much organic because i do trying to avoid irritating chemicals onto this skin. Basically it contains Deionized Water, Isopropyl Alchohol, Sodium Sulfate, Cucumber Extract (of course!) and Nonoxyinol-9. As shown, the liquid is so watery and it smells good. it cleans well and taking off the dirt out of my skin although i just washed it few minutes beforehand. when you wipe it on your face with the face cotton, it won't drying too fast yet i feel fresh and most importantly is no itching or uncomfortable feeling. can't really tell you the result now because i've been only using it for these 3 days. so far, my blemishes look like they are drying out. probably, will update more soon and yup, i will constantly apply it twice a day! 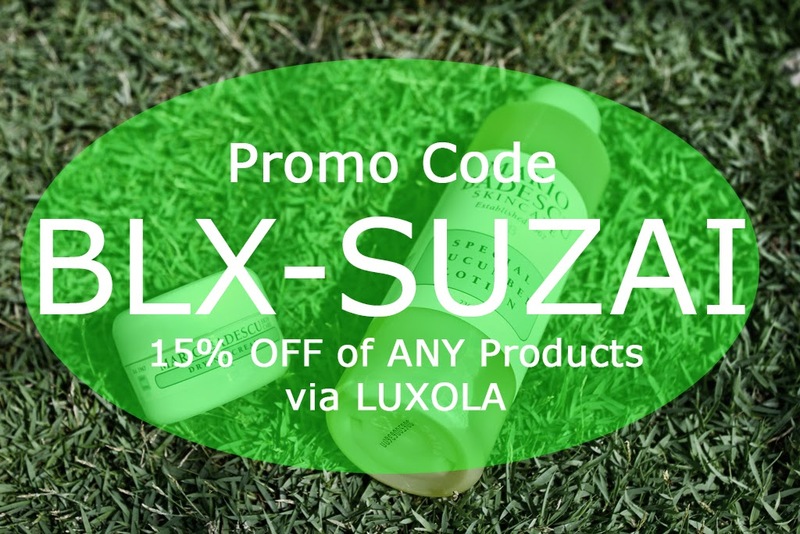 More info or please visit luxola/mariobadescu for more product range and details. Effective for treating pimples that appear as bumps! nah, my acne always ended up as a bump and leave scars later. that are the logical reason why i wanted to give this drying cream a try. comes with a cute size yet never underestimate the contain. it is definitely full and trust me, this one bottle can stand more than 6 months because the texture is really thick and rich but no heavy when being applied on your skin as shown. containing Aloe, this cream can heal and cover up the blemishes as well as able to act as a concealer! yup, so thats the main reason of my purchased. Oh the BAD THING about it is HAHAHHAHA the smell is REAL BAD! hahaha but since i can foresee that it works well, just ignore it girls! LOL seriously, love this!